H2O® Wireless offers no-contract wireless services for every need and budget on the nation’s largest and most reliable GSM networks. Get unlimited domestic and international talk and text, data, pay-per-use plans and more with phones from every major brand. Or, use H2O® Wireless with your existing iPhone, Android or other smartphone with H2O SIM Starter Kit – all with no activation, overages or hidden fees. Find H2O® Wireless at over 100,000 retailers nationwide including Best Buy or visit us online. 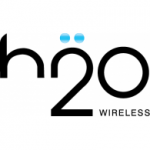 H2O® Wireless is a Locus Telecommunications brand.